Changing your business from a one-on-one to a one-to-many model is the dream of many (many) business owners. We’ve all been there working long and tiring hours trying to get as much done in the hours we have. But it’s never enough. 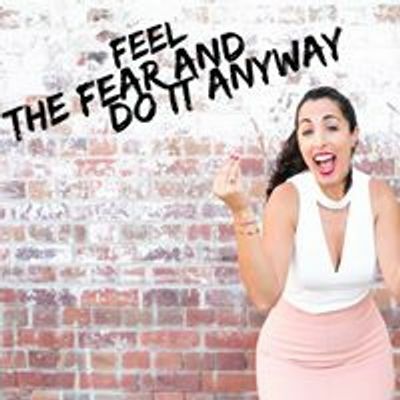 I’ve met and spoken with thousands of business owners about this roadblock, many of you want to break free from the client work and start hosting events and workshops but you simply don’t know how to go about it. You feel stuck and frustrated. You don’t have a clear pathway to take yourself out of the grind and into your dream of scaling the business so you can help more people – and live your life with passion and purpose. The FM half-day workshop aims to get you on the path to business success by giving you the framework to build a loyal following and leverage your community - even if you don’t have one yet. Running successful events has so many benefits to you as a business owner and doesn’t need to be difficult, tiring or confusing. This workshop is for business owners who want to take their business to the next level quickly – a much higher level – by harnessing the power of social media. In the FM half-day workshop I’ll show you the proven formula that is going to explode your business in only a matter of weeks by teaching you the tricks of the trade, which the masses haven’t caught on to yet, including Meetup, Facebook groups and Facebook Live, plus a host of others. Yes, these are well-known platforms, but are you using them to your best advantage? My clients are achieving huge success…one increased work by 80 per cent in 4 weeks another started to leverage a community of more than 10,000 people they didn’t know they had. Others have grown their communities by thousands of targeted active followers. While many have opened the taps on extra work from their ideal customers. They have grown their businesses and their profile to become influential leaders and go-to people in their industry. I used this formula myself when I moved to Brisbane and started a new business. I didn’t know anyone, let alone have a network to leverage. But in six short months I was running fully booked events and workshops and had a six-figure business. 1. You don't know how to stand out from the noise. 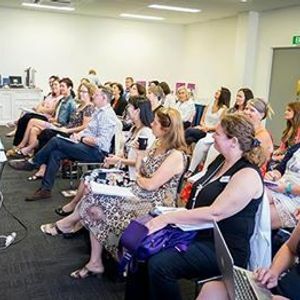 Leveraging your community and using my tried and trusted promotion techniques is how you fill events - whether they are networking events, seminars, conferences, webinars or workshops – to generate more leads and boom your business. - Understand your personal story, the importance of it and how to use it in your pitch. This is completely different to any “elevator pitch” you will learn. - Find authentic ways to bring in more targeted clients.- Discover the ways to network properly and profitably – on and offline. - Learn how to connect with people of influence easily. - Build your tribe and increase your following quickly. - Identify your target clients and people of influence by being an online detective. - Uncover the very simple strategy to build your attendees at your events. - Plus, find out the shortcuts to achieve and grow a huge network.This is how you run a successful business that allows you to help more people and change their lives – as well as changing your own.